October 27th, ore 4:30PM - Viewconference 2016, Turin (Italy). 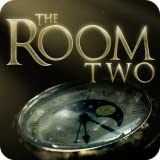 Barry Meade, co-founder of Fireproof Games tells us about the process that led to the creation of his Game Studio and the creation of The Room, Game of the Year for iPad in 2012. Barry has experience animator in the game industry, developed especially within the Criterion Games team, and working especially in driving games as Burnout 3, Burnout 4, Burnout Pradise and also Black. 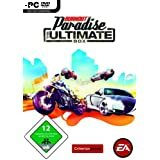 With some of his colleagues, during those some years in Criterion Games they created a friendship and a unity of purpose and they decide to leave their job to founding a new independent software house. In the beginning of their experience as indipendent studio, there were only six, and at first they had to refuse many jobs, if they need to hire other people: in fact, they didn’t want to become an outsourcing hub as happens in many companies that work for major studios, because their concept was that "if you do something you do not like, you can not put your soul on it." At the beginning of 2012 they have therefore decided to approach the mobile games market, fast growing at that time, although they didn’t know much about devices, technologies, mobile programming languages… in general neither the industry nor the systems development: they decide to hire for some months some developers specifically oriented to mobile, specifically with the idea to let these developers to develop their ideas and game concepts, and at the same time to study and learn from them. The main idea was to develop three different video games in the early months of 2012, starting to prototype them, then decide on which of the three focus a complete development. 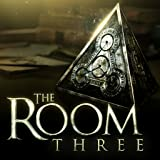 The Room was the second one and from the start it was clear that the game could be very good: they immediately decided to continue the development of this, so leaving aside the idea of creating the prototype of the third idea. 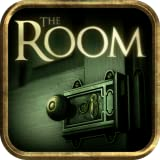 The game “The Room” was released in September of 2012 and was immediately inserted in the Apple Store in the “recommended games” box: this allowed them to have a boost in sales, but it lasted very little (just a dozen of days) and the sales curve has dropped to much lower levels, until in the Christmas period, where there was another major spike in sales, also lasted for a couple of weeks, and which coincided with the election of “the Room” as best iPad game for 2012. In general, the gains were not very high, but however they was satisfactory to give them the possibility to maintain open their Studio. Barry tells us that, in general, if you pass the first year without closing, then you have a very good chance that things start to get going. However, we must always remember that if you seek the highest gains, probably you cannot reach this goal, because as Indie Studio you need to challenge every day in a market where there are top games, developed by teams of dozens (or more) people and very high budgets. Speaking about earnings, Barry say their policy has been not to focus on in-game advertising, but focusing their strategy on a more targeted audience of people willing to pay for a game, but a game well developed and free from disturbing elements (as ads in free-to-play games).